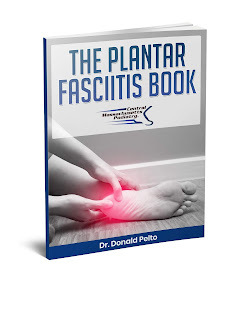 When seeing patients for tendonitis problems one of the most common and frustrating involves the achilles tendon. Usually treatment involves rest, ice, physical therapy, heel lift to name a few. 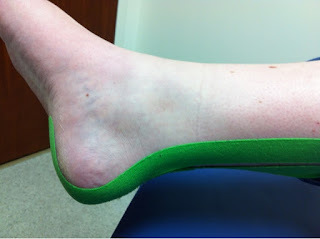 One different type of treatment is kinesio taping. A patient of mine came in with this taping done at Greendale Physical Therapy by one of their great therapists. I found it interesting and the patient found the taping helpful.